So you have planned your holiday itinerary meticulously, your hotels and flights are booked and your visa is done. Now it is time to pack your stuff and embark on the wonderful journey. Packing might seem like a tedious job but here are 21 tips that would help you to ensure that you pack right for the occasion. Remember Ross and Monica (refer F.R.I.E.N.D.S.) checking stuff of their list before travelling to Europe when travelling for Ross’s wedding? It might seem goofy and nerdy, but a list is a perfect way to start your packing. It will help you to ensure that you carry your essentials and don’t go overboard and pay for excess baggage at the airport. Consider the following in this article while making a list and enjoy your zero-hassle getaway. You might have gotten travel insurance for a rainy day, but make sure that your name and contact information are displayed on the name tag attached to your luggage. This is just in case the airline or you manage to have a mix-up and end up losing your stuff. An insurance might give you the amount for what you have lost but you would never get back those designer clothes and shoes that you have picked out carefully for yourself. What most travellers forget is that it is a two-way trip and all travellers are bound to buy ample amount of stuff (most of the time they might turn out to be junk) as memoirs. The luggage limitations are the same on both flights- to and fro. So do not fill your luggage to the limit while going and leave room for what you are going to add to it while coming back. The most stupid mistake travellers do while packing is predicting the weather and packing accordingly. Save yourself the trauma and just take five minutes out of your hectic schedule to check it on the internet. This way you will be better prepared for any rain or storm that might come your way (god forbid). Instead of going for neatly folded clothes, try rolling them to avoid the irritating creases and wrinkles that inevitably occurs once your luggage goes through the tumultuous journey. Additional advantage: you get more space. Packing in groups helps you reach for exactly what you need while unpacking. 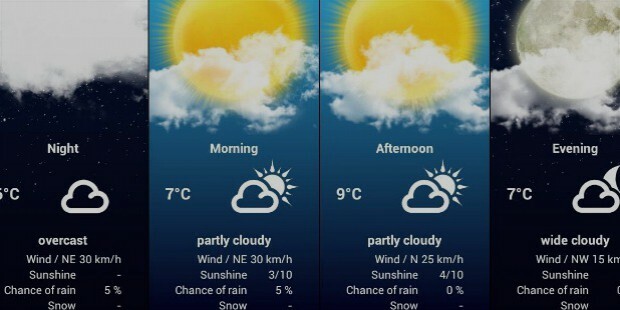 So pack pants with pants, shirts with shirts and so on. Remember you will mostly be living out of your suitcase during your vacation, so keep it organized for easier access. Most hotels or home stays provide towels and replace them whenever you ask for it. So go ahead and check if yours do. If yes then leave this immense space-killer at home. In most countries and most places, you will be able to buy your favourite brand of whatever you need. Moreover, if you are not fussy you can use stuff provided by the hotel as well. So don’t go overboard while packing your cosmetics and toiletries. If you are fussy and not sure if you will get your preferred brand, carry sachets and not those cumbersome bottles. This way you not only save space but also prevent some major accidents that will end up spoiling all contents of your luggage. (If you are an F.R.I.E.N.D.S fan, I bet you are thinking of Ross freaking out over a “major shampoo explosion!). Trust me after a tiring journey to your hotel, you would rather not find that you have nothing to wear as all your clothes are soaked in moisturizer. 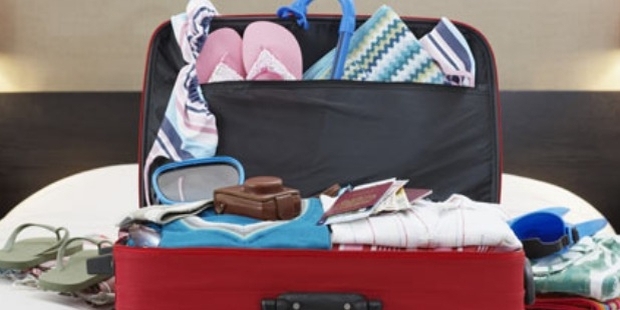 Let's be clear- shoes take up a lot of space and taking shoes matched with each pair of clothes you intend on wearing during your holiday may be overkill. Take only those shoes that go with multiple numbers of your attire. Another great space saver trick is to fold in your socks inside your shoes. As with everything else, you might also think of going minimalistic when it comes to clothes. If you are comfortable in jeans, you can use them at least 3 days before washing and only need to take 3 different Tees to go with them. Choose your wardrobe smartly. Make sure to include at least two classy evening outfits. Most importantly, leave your eccentric choices at home. Go for all-rounder fashion pieces. Many times while visiting someone we take delicate gifts for them. Otherwise also, if you absolutely have to take these fragile items, make sure to bubble-wrap them and place them in between your clothes to ensure that they survive the shock of the blows that they will face during the journey. 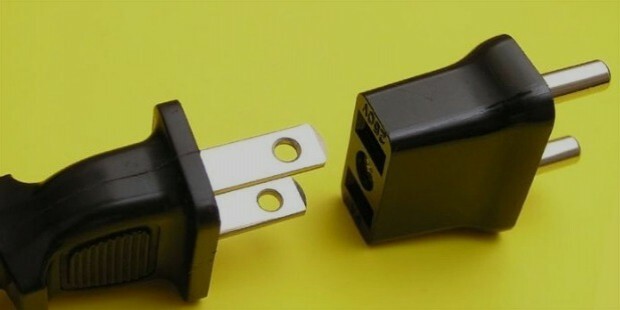 While travelling to a different country, check out if you will need adapters. If you do, buy them beforehand to avoid having to make a last minute expensive buy. Make sure to take medicines for fever, stomach upset, pain killer, anti-allergic, anti-vomiting- the basics. Several countries have different policies with respect to carrying medicines. So pack them in your suitcase. While you are at it, don’t forget to carry your prescribed medicines as well. Stuff that you might need to get to soon (maybe even at the airport) should be placed on top for easy access. Losing of baggage may be rare but it might happen at times. So don’t take the risk and take the expensive items like jewellery, watches or camera, laptop, iPads in your hand luggage. Save yourself the trouble of paying for excess baggage by investing on a handy weighing machine. This way you can check if your luggage meets the restriction limitations imposed by the airline in the comfort of your home and make necessary tweaks instead of dumping that favourite shrug of yours or making unnecessary payments. 100 ml of liquid per hand baggage is allowed in most places. Check in advance the limitations and carry accordingly to save hassle at the airport. Anything more than the allowed amount can go in your check-in suitcase. At least carry one set of outfits complete with underwear in your hand baggage just in case of an emergency situation where your main luggage is lost or delayed. Finish your manicure at home. Remember no sharp items are allowed in your hand baggage. So please don’t think of saving time by doing your nail-cutting/ filing while sitting at the airport or on the plane, you will just end up losing your tools and having a not-manicured hand. Keep in mind that different countries have different systems when it comes to the security check. You might be asked to remove your belts, jacket, wallet, watch and sometimes even shoes (all metallic stuff). So you might want to keep that in mind while dressing for your flight. Also be prepared to take out your gadgets (like iPads, laptops) if the rule is so. On a vacation, you might do without clothes (you can always buy them at your destination) but make sure to carry the most required items with you. These would be your visa, valid passport, debit & credit cards, currencies (your home currency as well as the currency of your destination), flight tickets, hotel vouchers, travel insurance papers, mobile (with its charger), your house keys. Keep these all in your hand baggage and keep that close to you. With all these tips, you will be well prepared for a stress- free holiday. So now relax and start enjoying.